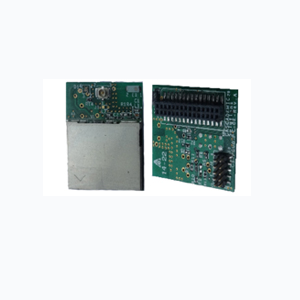 The WAP module is a complete IEEE 802.11bgn Wi-Fi device with a standard serial port or SPI or UART interface to a host processor. It is based on TI’s Simplelink chipset which has 32-bit ARM Cortex M4 Microcontroller with Embedded 802.11bgn Wi-Fi Network Processor. ARM Cortex M4 is embedded to provide a solution for a variety of applications. No WLAN driver functionality is required on the host processor. Since Simplelink chipset includes an embedded processor, it is designed to provide standards compliant wireless connectivity to devices and systems that have a serial port and implement a TCP/IP stack and UDP connections, enabling a variety of M2M applications at low power and small footprint. It uniquely provides connectivity in the single stream 802.11n mode, preserving overall network throughput in the emerging enterprise. 6.5 Mbps to 150Mbps (11n). (Typical) @ 54OFDM : 13.5dBm. 256-Bit AES Encryption for TLS and SSL Connections.